If you’re looking for a fragrant foundation for your garden, consider growing an artemisia. Their interesting shapes and leaf colors make them valuable as a focus for garden designs. Their fragrant leaves make an excellent addition to wreaths and decorations. Here are four for you to try. Southernwood (Artemisia abrotanum) – This citrus scented artemesia grows three to four feet in full sun to partial shade with fine leaves on upright stems. Southernwood has minimum water requirements and tolerates poor soil. Wormwood (Artemisia absinthium) – Wormwood has finely divided silver leaves with a distinct aroma and a bitter flavor. It tolerates poor or gravely soil. Its low-growing shape (two feet in most cases) and gray color make it a good companion to delphiniums, foxgloves, and other plants with tall flower spikes. 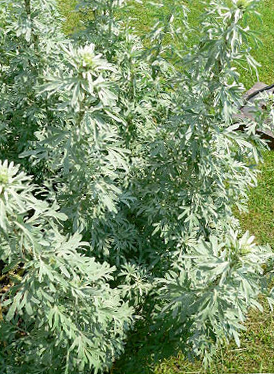 Silver King (Artemisia ludoviciana albula) – Silver King is a variety bred from artemisias native to the Western U. S. It’s popular for its lacy silver leaves. This well-behaved member of the family grows to around three feet high with slender spreading branches. Its strong roots make it useful on slopes and areas requiring erosion control. Common Mugwort (Artemisia vulgaris) – This is a pretty plant with an unappealing name. “Wort” is an old English word for any herbaceous plant so “mugwort” is a plant used to make a liquor one drinks from a mug. This aromatic bush has darker green leaves than other artemisias and grows best in full sun. Keep this plant from looking weedy by periodic bouts with the pruning shears. It can even be mowed, once it is established. Artemisias are a hardy bunch. 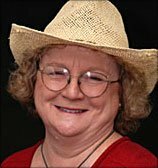 They generally adapt to less than ideal soil, a good thing for Texas gardeners who often struggle with clay or rocky soil. Their strong scent discourages insects, probably the basis for their use indoors as insect repellant. Artemisias are often used as shrubs in herb garden plans. But unlike most other shrubs, these plants tend to get rangy above-ground and aggressive below-ground. Plan on clipping them more frequently than your other shrubs. But if you have boring green shrubs you’d like to replace with something more exciting, try growing an artemesia. Their gray-green foliage and stimulating aroma are an excellent addition to any garden design.